Legend says Big John was more than just a man. He was a big man, a steel driving man. And now the African American folk hero has been honored in a big way. 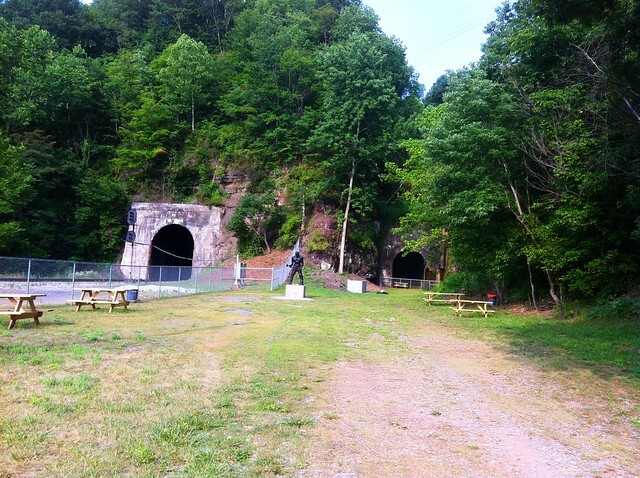 The long-awaited John Henry Historical Park in Talcott is now open to the public. It’s been drawing plenty of visitors, and lots of praise too. That’s a big deal, especially since the idea originated in 1968. When officials made the decision to move forward, it still took 17 years to make the dream a reality. Community collaboration was the long-term key to its success, along with others who believed in the vision. “Seventeen years ago, the first money was awarded to this project,” said Christy Bailey of the National Coal Heritage Authority. Bailey made her remarks at the July 7 dedication ceremony for the new Summers County landmark. Park features include an iconic statue of John Henry, a picnic area, a interactive educational kiosk, picnic shelter and walking trails. 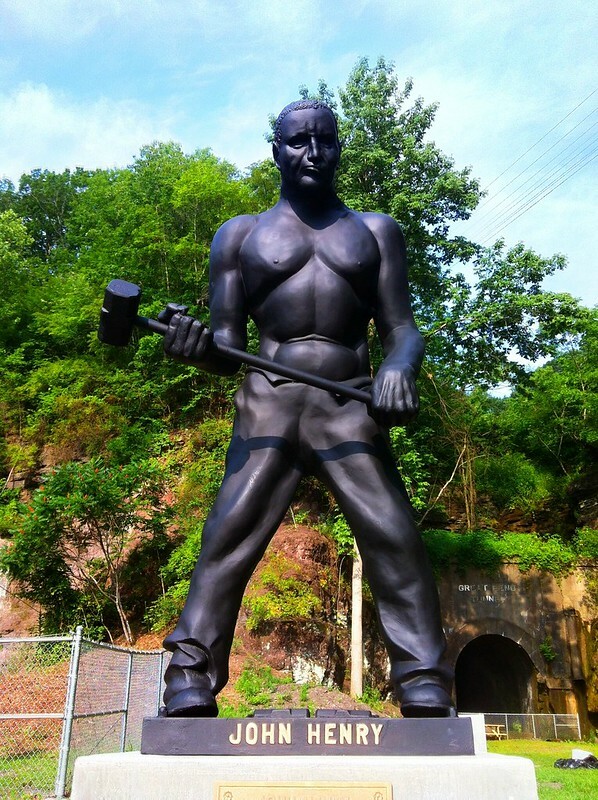 The statute, which is 8 feet tall and weighs 2.5 tons, had been moved from its location along W. Va. 3 to the park site. Hilldale/Talcott Ruritan Club members are credited for spending five years raising money for its purchase in 1972. Legend says he raced against a steam-powered drill to prove that manpower was greater than machine power. By winning the battle he preserved railroad workers jobs. Unfortunately he died in victory with his hammer in his hand. 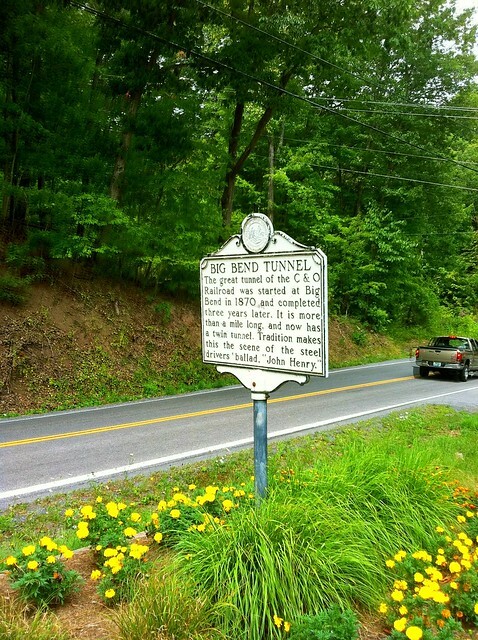 The park’s location is fitting, because this “epic battle between man and machine” took place at the Great Bend Tunnel on the C&O Railroad near Talcott. Some say he’s part of southern West Virginia folklore. The depiction of him as a steel driver also rings true. A steel driver was half of a two-man team (including a shaker) responsible for hand drilling holes, up to 14 feet deep, into solid rock for the placement of explosives. Just like the story, steel drivers swung a nine-pound hammer all day long. 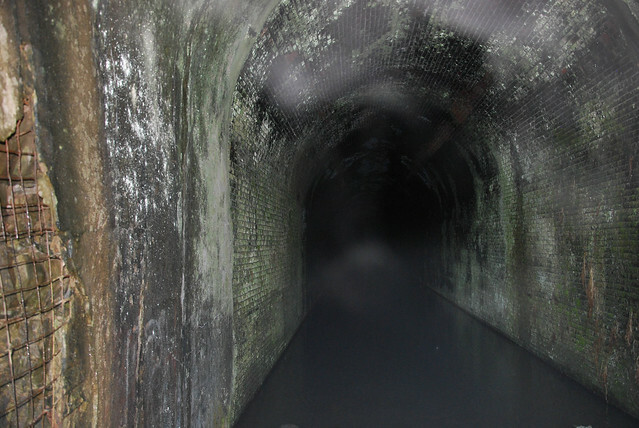 Historians believe he died at the tunnel. It’s also estimated hundreds of other workers died there. They lost their lives to rock falls, malfunctioning explosions and “tunnel sickness,” or what’s now known to be the excessive inhalation of dust,” according to the National Park Service. The park is located on 21 acres so it will have plenty of space for more development. Future plans call for the park to feature an amphitheater. Organizers have already been honored for what’s already been accomplished.